What comes to mind when you think of dolphins? Maybe the captive dolphins in oceanaria would first cross your mind? These captive dolphins are cute and appear to be always smiling. Dolphins are so intelligent they can follow the trainers’ instructions to perform difficult tricks. Well yes, in modern days, almost every one has had a chance to take a glance at the dolphins in a dolphinarium. People clap when the dolphins jump through the hoop, and they are delighted just because they can feed, touch or swim with the dolphins. Some people fall in love with this animal after experiencing close encounters. However, if we really love and care about these magnificent creatures, shouldn’t we look closer into the reality hidden behind the dolphin’s smile when they are in captivity? In the book ‘Farewell to Freedom – Truth hidden behind a dolphin’s smile’, we explain the history of dolphins / whales in captivity, and the general arguments FOR and AGAINST dolphins / whales in captivity. We also discuss the increasingly popular “swim-with-the-dolphin” programmes. After which, readers can then decide whether they should go to see and swim with captive dolphins again. Everyone should be informed about the dark side of the captive industry before making the informed decision. 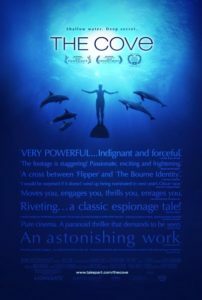 Probably the most famous film in recent years depicting the cruel reality of the dolphin trade was the Oscar award-winning Best Feature Documentary, The Cove. 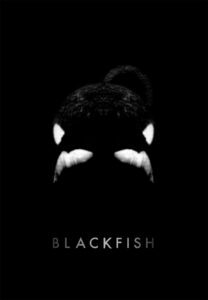 Following The Cove in 2009, another documentary, Blackfish was released in 2013 talking about the life of an orca called Tilikum in captivity. As an effect of these movies, western countries start to ban importing wild dolphins and phase out dolphin shows and captive breeding. 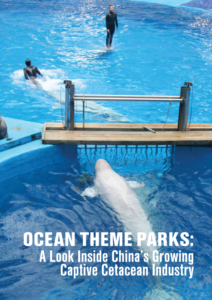 Nevertheless, China has just started the industry with over 50 operating and constructing dolphinaria. In view of this, Hong Kong Dolphin Conservation Society joins hands with other organizations to form the China Cetaceans Alliance. The alliance concerns the growing captive industry in China. Read the following report to learn more about the problem of the raising captive industry in China or visit China Cetaceans Alliance weibo for more videos and information. At the end, if you still have questions on visiting aquariums, you may watch the following Ted Talk video. 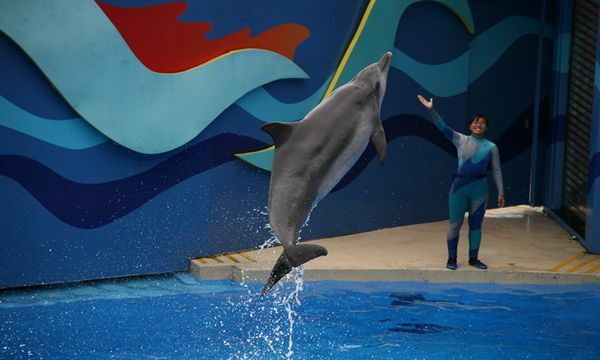 Mr Taison Chang, the chairman of Hong Kong Dolphin Conservation Society, shared his view on dolphin captivity and experience working with wild and captive dolphins in Ted Talks.Why should we not keep dolphins in aquariums? Let’s see how he answered the question!